Authorized in 1936, launched in 1940, and commissioned the following year, USS North Carolina was the first battleship constructed for the US Navy since USS West Virginia's 1923 commissioning. The first of America's fast battleships, North Carolina compiled a sterling combat record in the South Pacific between 1942 and 1945, earning 12 battle stars while participating in every major naval campaign in the theater, making her the US Navy's most decorated battleship. Following the war, North Carolina was eventually decommissioned, but bypassed the scrapyard when she was purchased by the citizens of North Carolina to serve as a memorial to those who served and sacrificed to preserve America's freedom. Today, she sits moored in Wilmington, North Carolina, as one of the most awe-inspiring floating museums in the world. For years, modelers have lacked value-packed, comprehensive resources at an affordable price. Following its maiden edition of the Squadron at Sea series, USS Arizona (http://web.ipmsusa3.org/content/uss-arizona-squadron-sea), Squadron/Signal hammers back-to-back home runs with USS North Carolina. Suitable for modelers and history buffs alike, this 136-page installment in the Squadron at Sea series by David Doyle captures the essential imagery and concise narrative of both her brief 6-year active service life and her transformation into one of the world's most amazing floating war memorials. From the laying of her keel through her launching, commissioning, refits, mothballing, and enshrinement in her namesake state, hundreds of photographs and several color profiles detail every aspect of North Carolina's inception, evolution, configuration, and armament. A section dedicated to the history of her scout aircraft is also included. 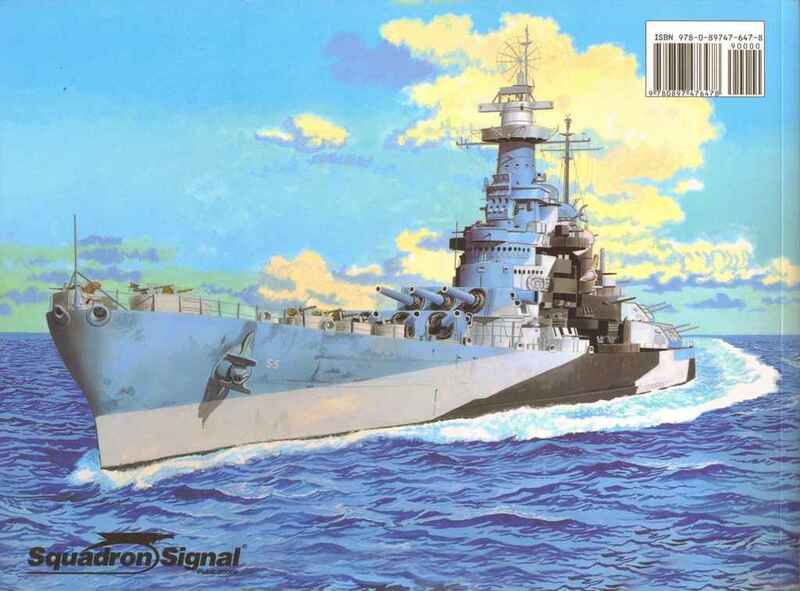 As a modeler of four decades, a former resident of the great state of North Carolina, and a long-time admirer of this great battleship, this reviewer is thrilled to finally see such a rich volume created with modelers in mind. Mr. Doyle's work is an absolute jackpot of visual reference for North Carolina modelers of all ages and skill levels, and is a definite "must have" for any modeler wishing to honor the legendary "Show Boat" in a quality build. Thanks to Squadron/Signal and IPMS/USA for the review sample and the review opportunity!